"Had a very good experience with Dr. Costa. Love this place." Dr. Jason Costa treats patients of all ages at Killeen Family Dentistry, located in Killeen, Texas. Dr. Costa provides superior dental care for children and adults, whether they need routine cleanings, crowns, or cosmetic services. He stays up-to-date on the latest advancements in dental care to provide outstanding dental services. After growing up in Central Texas, Dr. Costa earned a degree in chemical engineering at the University of Texas. 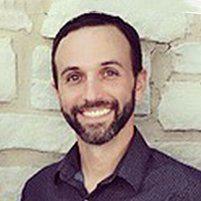 When he decided to pursue dentistry as a career instead, he earned his dentistry degree from the Baylor College of Dentistry. Dr. Costa has been providing dental care for patients in the Central Texas area since 2007 and continues to enjoy helping patients achieve good oral health. Dr. Costa offers gentle dental care in a calming environment that helps all of his patients feel at ease while they receive treatment. He enjoys ensuring that patients have healthy teeth and gums while providing them with advice on maintaining good oral health.